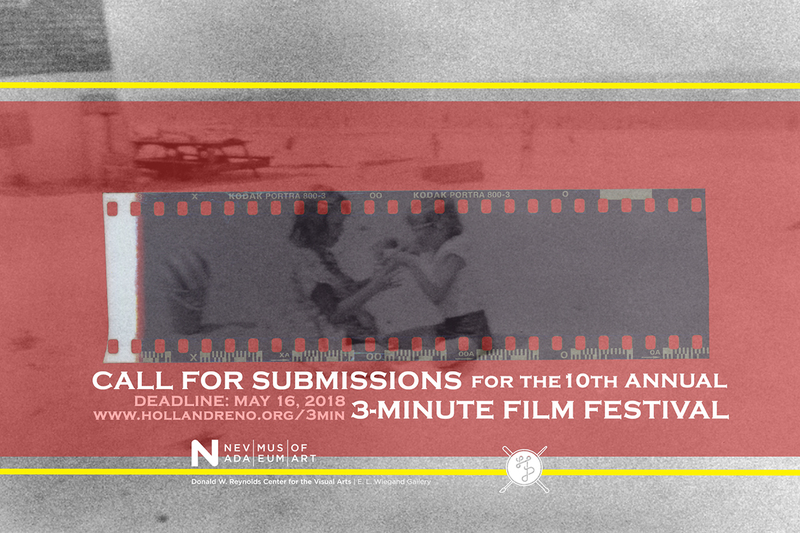 In partnership with KNPB Channel 5 and the Nevada Museum of Art, Holland is proud to announce the 10th Annual 3-Minute Film Competition, a yearly celebration of independent filmmakers of all ages and experiences. There are 2 categories: the traditional 3-Minute Film category (any film ranging from 30 seconds to 3 minutes in length), and the 15- Second Film category (based on the rise of incredible storytelling and super short filmmaking through social media apps – and to encourage any burgeoning animation artists!). You are allowed to submit for either category, or both. Preference will be given to filmmakers with a Nevada connection (current or former residents, those with a personal tie to the state, etc). Any genre (western, horror, experimental, music vids, comedy, mockumentary/documentary, skate and snow vids, adapted mini-screenplays and stories), any style (B&W, super saturated technicolor, 1920s grainy style, animation, stop-motion, high-def), any technology (shoot it on a fancy camera, a thrift store find, or your iPhone), any level (beginner to expert) and any age (directors ages 5 to 100) – are all encouraged and accepted! *Make sure if you’re doing Quicktime, it’s not a Final Cut Quicktime file–those are too big for us to watch and run. You are welcome to upload to Dropbox, Google Drive, or Vimeo and send to us–as long as we have download options. IMPORTANT NOTE ABOUT MUSIC! We encourage you to use licensed music, creative commons/public domain music, or get permission for your scores. There are a ton of local artists and bands that have agreed to donate music or score your film, which is super cool! Just check out THIS LIST and contact the band/artist directly. This is a big deal this year, because the Top Selections will be screened on KNPB Channel 5 (our PBS station!) during a special 3-Minute Film program they are creating just for this event! The bummer is, if you don’t have permission for the music, your film won’t be able to screen on PBS.